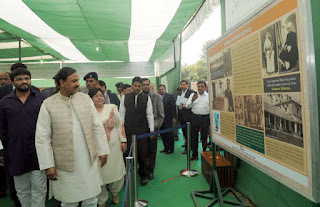 On the 68th death anniversary of Mahatma Gandhi today, Dr. Mahesh Sharma, the Minister of State (I/C) for Tourism and Culture inaugurated a 25 panel Exhibition titled ‘Mohan se Mahatma Tak’ based on the evolution of Gandhiji from a mere ‘Monia’, his childhood name to Mahtma highlighting his experiences and struggles that shaped his life to the point of being the Father of the Nation. Addressing on the occasion, Dr. Sharma said that Gandhiji used to say that his life from Mohan to Mahatma is his message to the countrymen. Shri Babul Supriyo, the Minister of State for Urban Development presided over the function. Sri Ramcharitmanas fame Shri Morari Bapu and many dignitaries graced the occasion.The function was organized by Rajghat Samadhi Samiti which is under the Ministry of Urban Development. On this occasion, a 9 day long discourse by the Sri Ramcharitmanas fame Shri Morari Bapu on ‘Manas Rajghat Katha’ interpreting the life, works and philosophy on the lines of Ramcharitmanas was also organized. 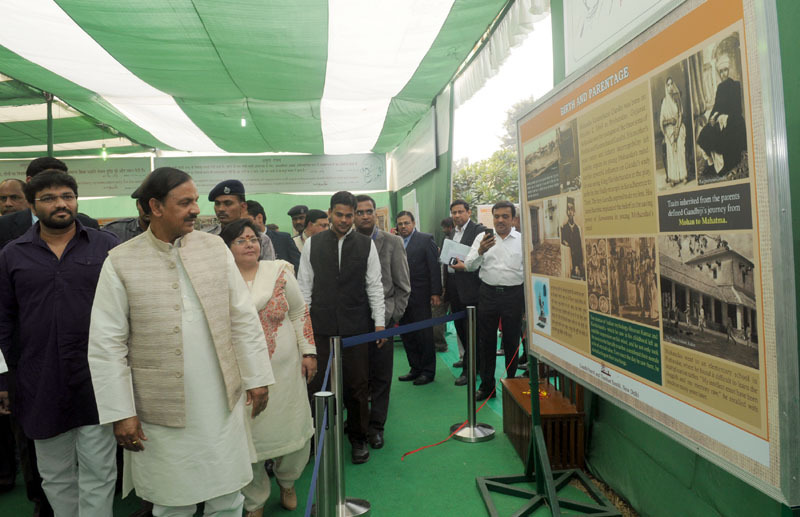 This is aimed at oral transmission of significance of life and philosophy of Gandhiji and his ideas and values.